Smoke is no friend to firefighters, unless you’re talking about this year’s winner of the America’s Best Firehouse Chili Contest. The No. 1 recipe – Smoke Showin’ – features a barbecue twist, thanks in large part to smoked corn on the cob, jalapeno peppers, 2 to 3 pounds of beef brisket and bacon. 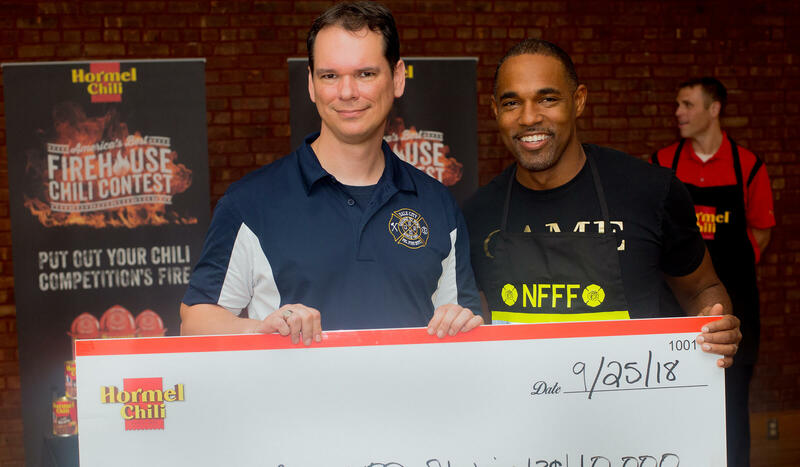 Firefighter Eddy Dumire cooked up a hearty batch of his signature stew in the final round of the national contest sponsored annually by the makers of HORMEL® Chili. In addition to bragging rights, Eddy left New York City with a year’s supply of HORMEL® Chili and a $10,000 check for Station 13 of Virginia’s Dale City Volunteer Fire Department (DCVFD). According to Eddy, the funds will serve as seed money for a college scholarship that rewards volunteerism. It will also help the DCVFD Foundation bring Santa Claus (on a firetruck, no less) to terminally ill children. 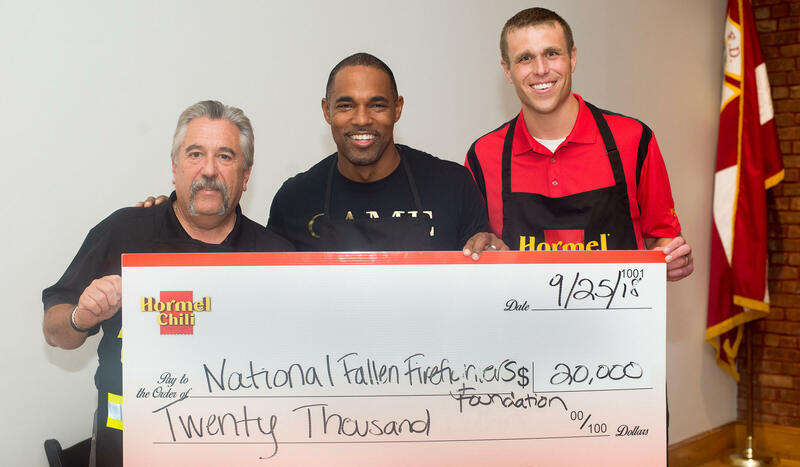 Hormel Foods also donated $20,000 to the National Fallen Firefighters Foundation, an organization that honors those who have perished in the line of duty, supporting their families and working to reduce injuries and deaths in the future. 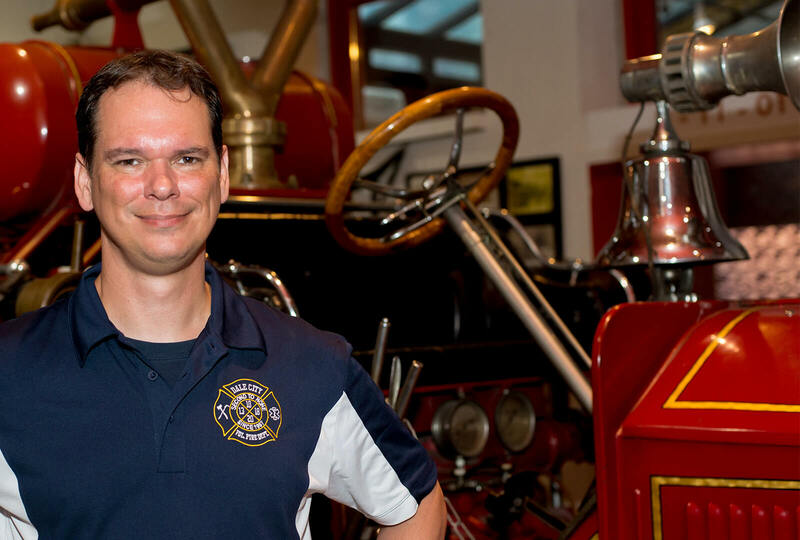 “I’m so proud to win today,” Eddy said, grinning broadly as he stood in the storied New York City Fire Museum on championship day. He’s the second winner in as many years. The makers of the HORMEL® Chili rolled out the America’s Best Firehouse Chili Contest in spring 2017, paying homage to some of the country’s biggest heroes and celebrating one of the company’s most well-known and longtime brands. Indeed, the staple enjoys 80-plus percent brand recognition and has been around since 1935. 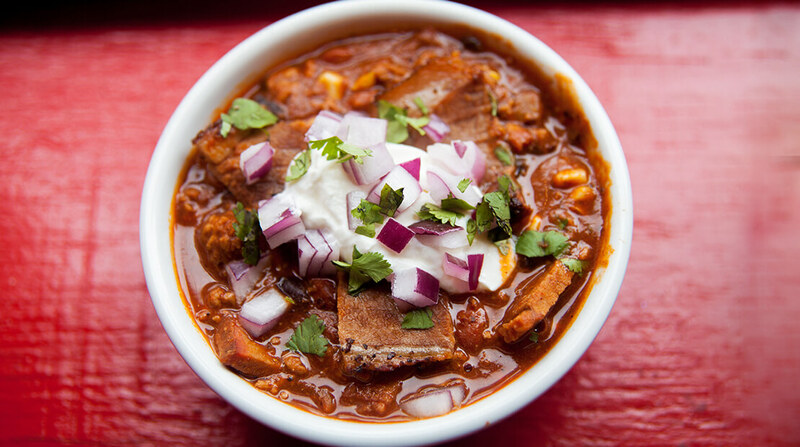 Brimming with history, the famous chili was developed at the hands of Jay Hormel, son of George Hormel, the founder of 127-year-old Hormel Foods. As it turns out, firefighting and cooking often go hand in hand. Sitting down to share a home-cooked meal is a time-honored tradition among firefighters. Born of practicality, it allows them to work long shifts and stay close to the station in the event of an emergency. It also serves what may well be a loftier purpose. Communal meals help build an esprit de corps among men and women who put their faith in each other – and their lives on the line – every time they answer a call. For them, any meal could be their last. Eddy’s recipe for Smoke Showin’ is a nod to them via a firefighting term that means smoke from the blaze is visible on the street. It’s also a tribute to his mom. Among other things, she gave Eddy her 20-year-old tried-and-true formula. 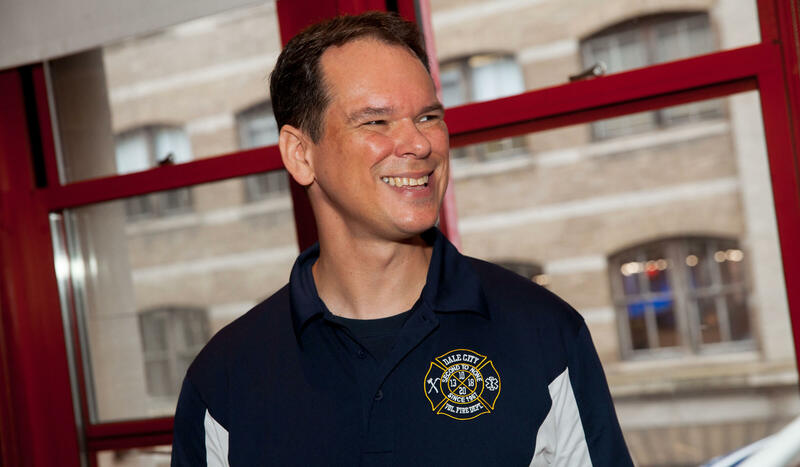 In answer to a friendly challenge from a neighboring fire department three years ago, Eddy took her recipe and added his “love of barbecue.” It came in the form of smoked beef brisket, chipotle peppers (i.e., smoked jalapenos), smoked corn on the cob and bacon. “That’s how we got to where we are,” he says, grinning. Smoke brisket and corn the night before. Fry bacon, remove. Sauté garlic and onion in bacon fat, add ground beef and brown. Drain fat leaving just a few tablespoons. Add tomato sauce beans, brisket and bacon. Add spices, tomato puree, chipotle pepper puree, corn (cut from cob), and simmer for at least one hour. Garnish with chopped red onion, cilantro and a dollop of sour cream. 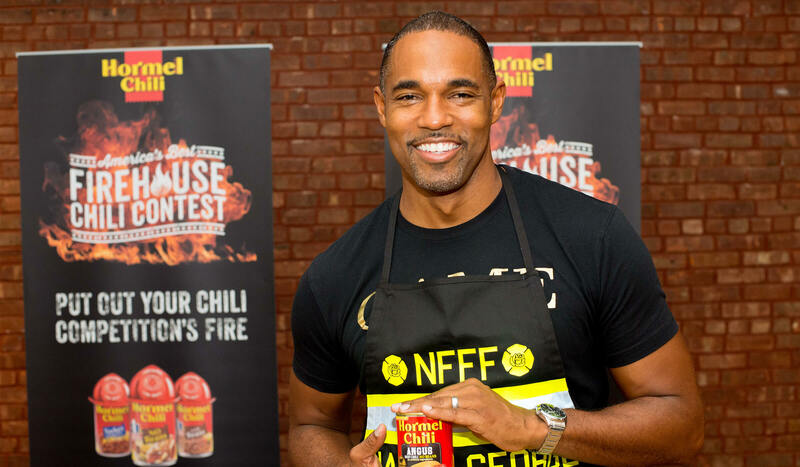 Jason George, who plays physician-turned-firefighter Ben Warren on “Grey’s Anatomy” and its spinoff, “Station 19,” was a guest judge. In addition to Eddy, four other finalists came to New York City to test their mettle, each one representing a region of the United States. Recipes were judged on originality, flavor and inspiration behind each submission.